Newsletter (Construction) No. 11 has been issued. Please see our webpage on "Publications - Newsletter (Construction)". The 10th Community Liaison Group (CLG) meetings were held in January 2019. 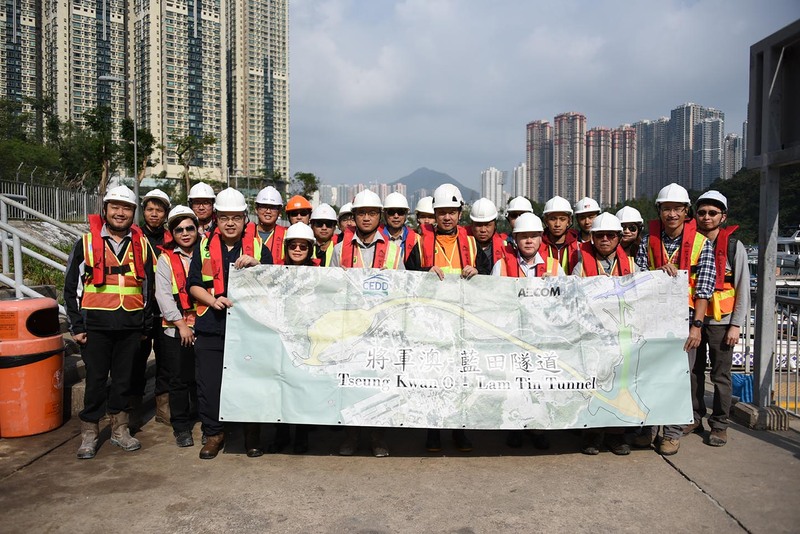 The members of HKSAR Government Civil Engineers Association visited the Lam Tin Interchange site and the marine works in Tseung Kwan O On 26 January 2019. Newsletter (Construction) No. 10 has been issued. Please see our webpage on "Publications - Newsletter (Construction)". 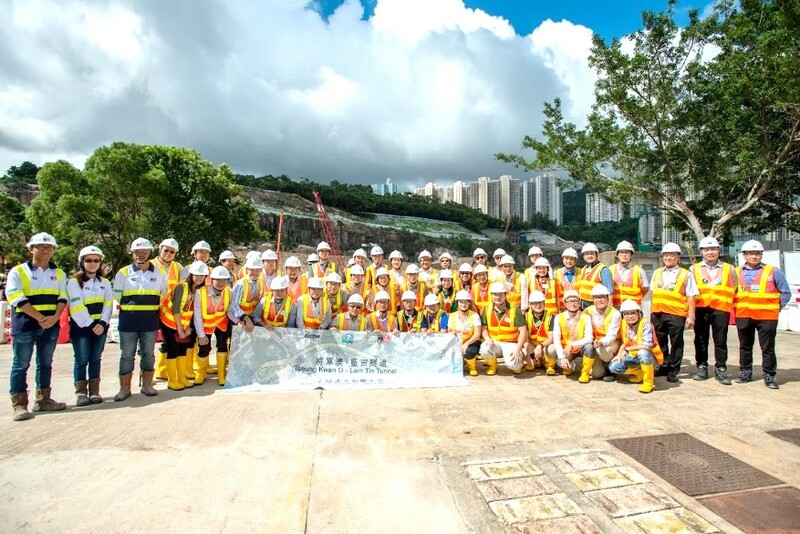 The members of the Institution of Civil Engineers visited the marine works in Tseung Kwan O on 12 January 2019. 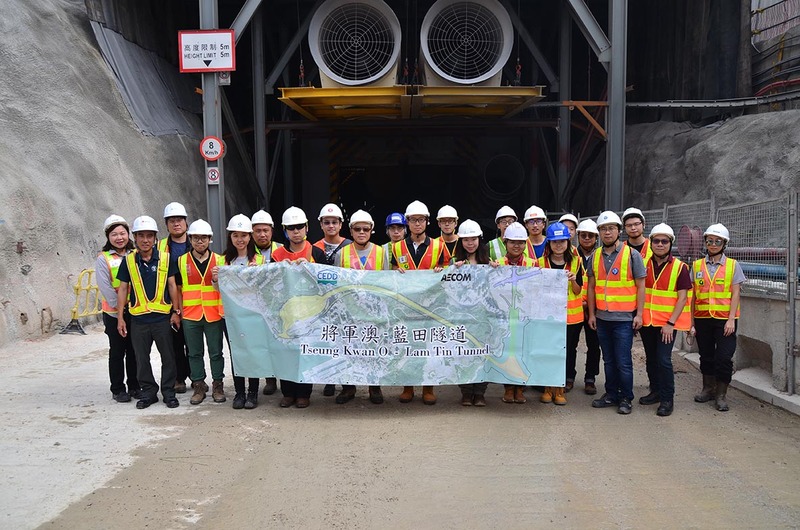 The Volunteer Service Group of Civil Division of The Hong Kong Institution of Engineers (HKIE) visited the Lam Tin Interchange site on 1 December 2018. 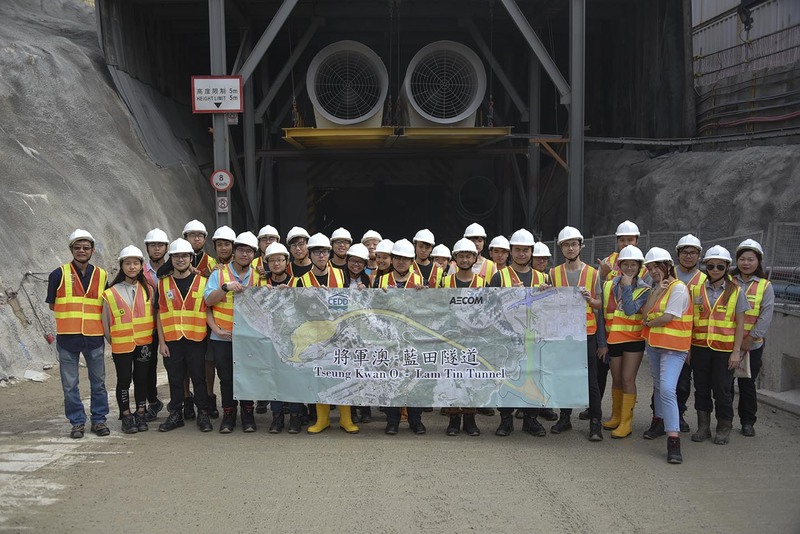 The members of The Institute of Materials, Minerals and Mining (Hong Kong Branch) visited the marine works in Tseung Kwan O on 24 November 2018. 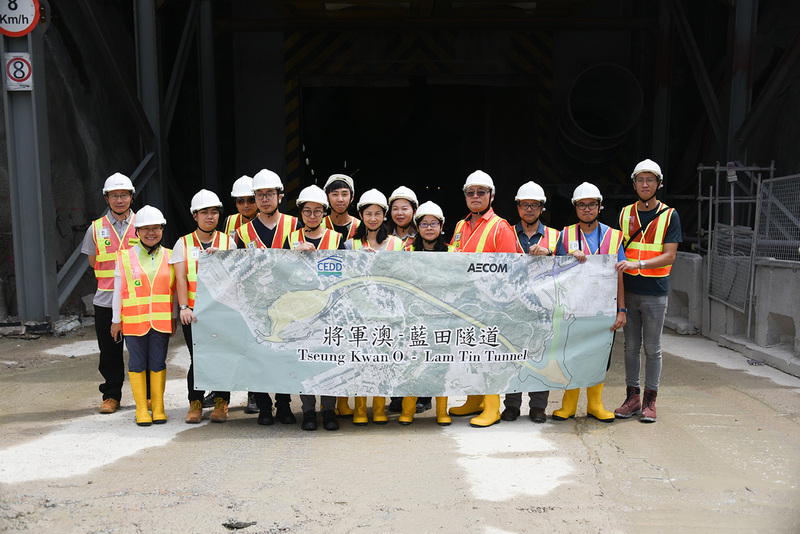 The teaching staff and students of Higher Diploma in Civil Engineering of the Hong Kong Institute of Vocational Education (Tsing Yi) visited the Lam Tin Interchange site on 10 November 2018. The contract for Traffic Control and Surveillance System (TCSS) and associated works (Contract No. NE/2017/06) was commenced on 9 November 2018. It is anticipated that the works will be completed by 2022. The 5th Marine Liaison Group (MLG) meeting was held on 8 November 2018. The 9th Community Liaison Group (CLG) meetings were held in October 2018. 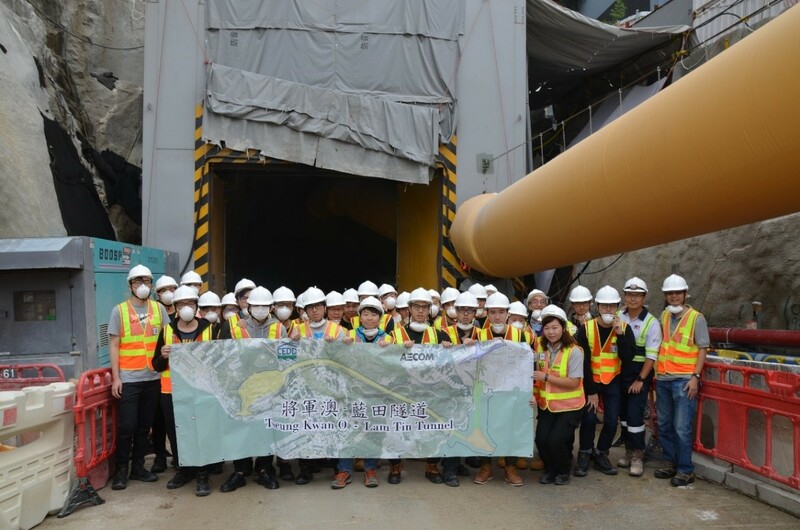 The members of Association of Geotechnical & Geoenvironmental Specialists (Hong Kong) visited the Lam Tin Interchange site on 27 October 2018. Newsletter (Construction) No. 9 has been issued. Please see our webpage on "Publications - Newsletter (Construction)". 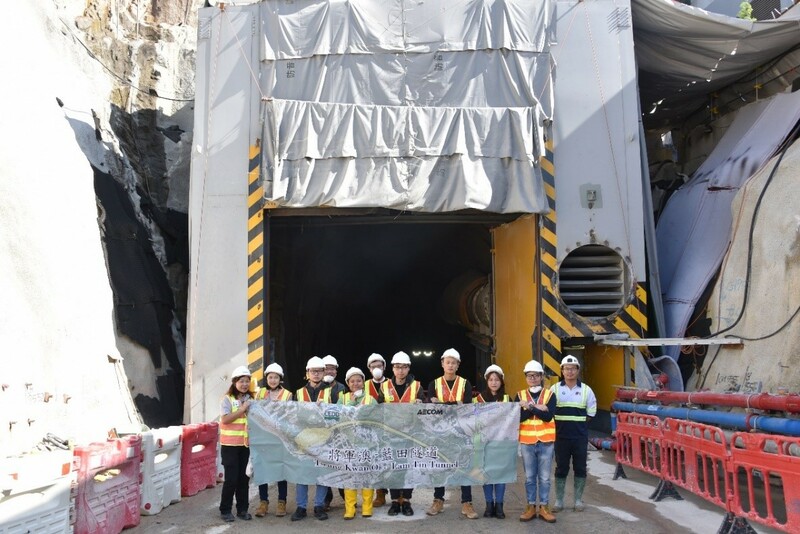 The members of The Geological Society of Hong Kong visited the Lam Tin Interchange site on 8 September 2018. 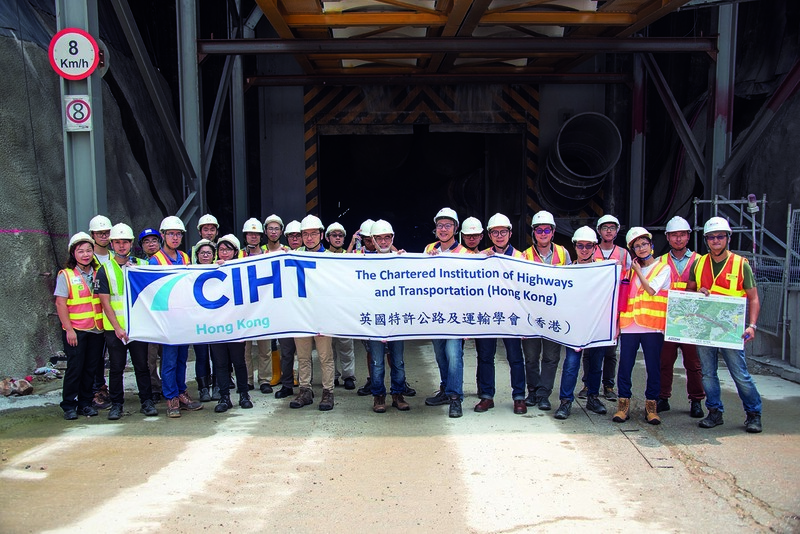 The members of The Chartered Institution of Highways and Transportation (Hong Kong) visited the Lam Tin Interchange site on 25 August 2018. The 8th Community Liaison Group (CLG) meetings were held in July 2018. Newsletter (Construction) No. 8 has been issued. Please see our webpage on "Publications - Newsletter (Construction)". 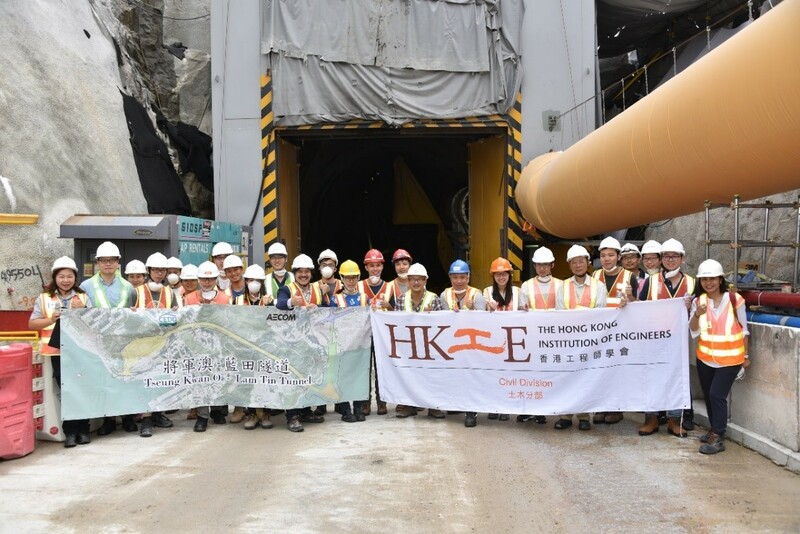 The members of The Institution of Structural Engineers (Hong Kong Regional Group) visited the Lam Tin Interchange site on 23 June 2018. 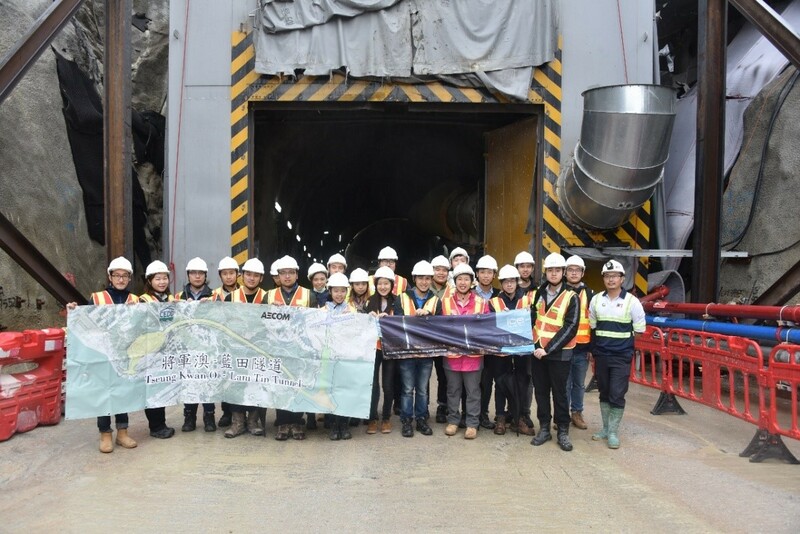 The members of The Institute of Materials, Minerals and Mining (Hong Kong Branch) visited the Lam Tin Interchange site on 9 June 2018. The 4th Marine Liaison Group (MLG) meeting was held on 23 May 2018. 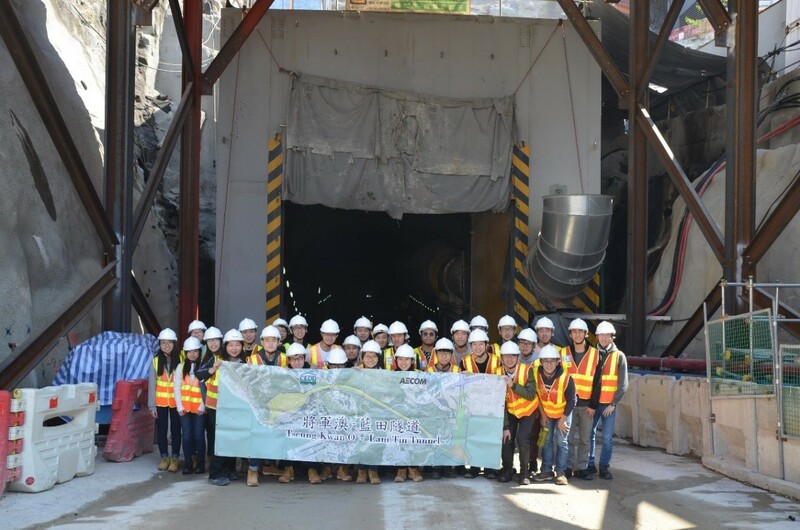 The students of SKH Bishop Mok Sau Tseng Secondary School visited the Lam Tin Interchange site on 28 April 2018. The 7th Community Liaison Group (CLG) meetings were held in April 2018. Newsletter (Construction) No. 7 has been issued. Please see our webpage on "Publications - Newsletter (Construction)". 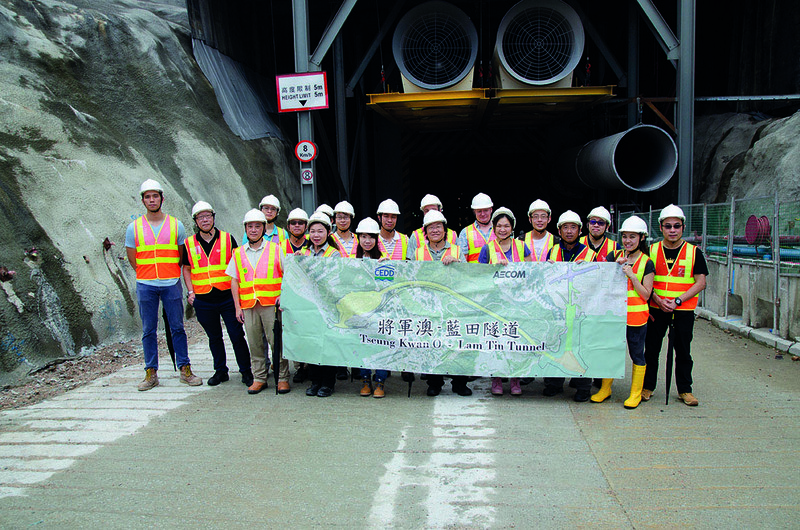 The members of the HKUST Students’ Union visited the Lam Tin Interchange site on 10 March 2018. 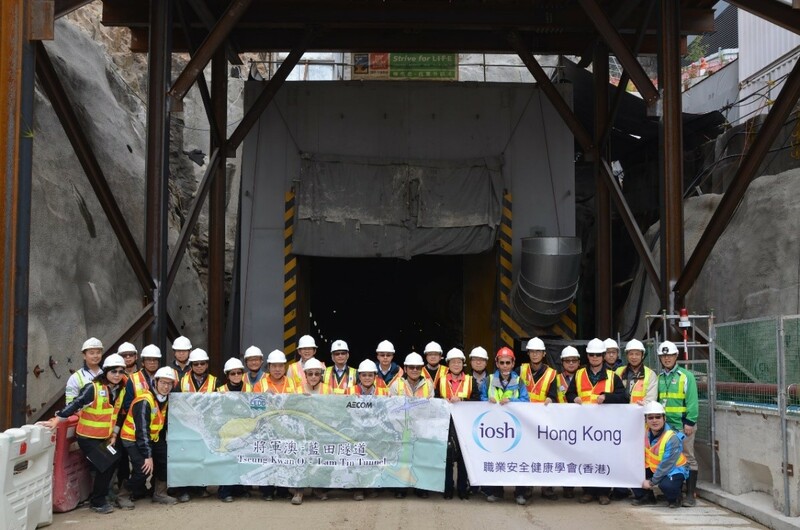 The members of the Institution of Occupational Safety and Health (Hong Kong) visited the Lam Tin Interchange site on 24 February 2018. The 6th Community Liaison Group (CLG) meetings were held in January 2018. Newsletter (Construction) No.6 has been issued. Please see our webpage on "Publications - Newsletter (Construction)". The contract for Tseung Kwan O Interchange and associated works (Contract No. NE/2017/01) was commenced on 22 January 2018. It is anticipated that the works will be completed by 2021. 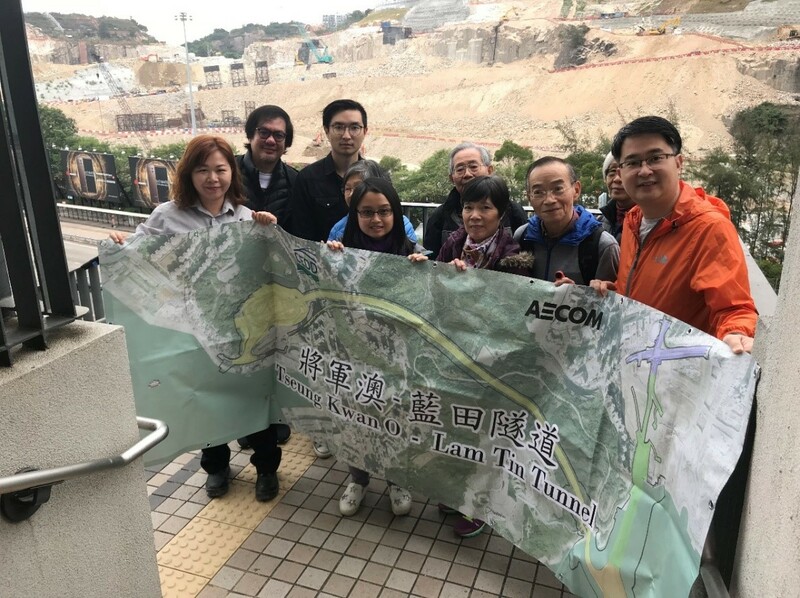 The members of the Institution of Civil Engineers visited the Lam Tin Interchange site on 6 January 2018. 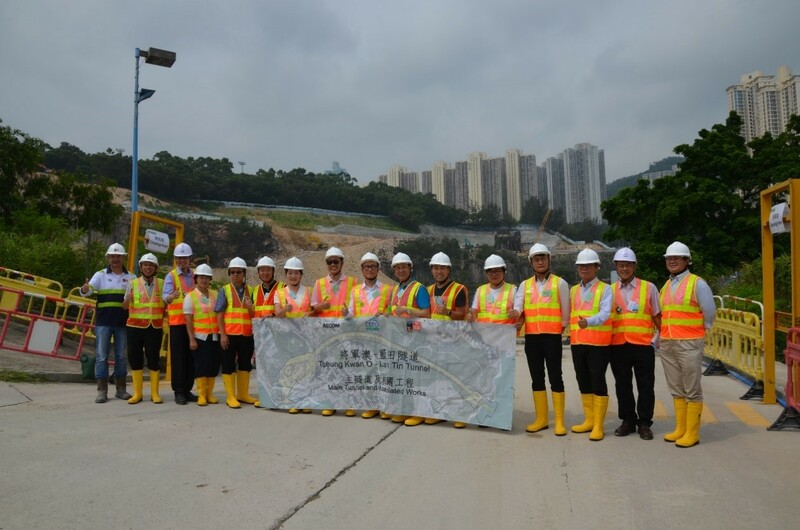 Mr. Ho Man Kit (Member of Sai Kung District Council) visited the blasting works at Lam Tin Interchange on 12 December 2017. The 3rd Marine Liaison Group (MLG) meeting was held on 7 December 2017. 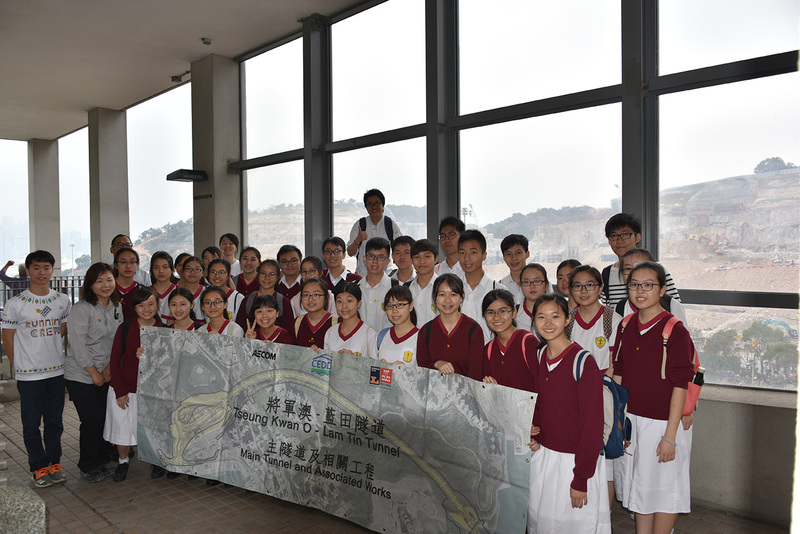 The teaching staff and students of Higher Diploma on Geotechnics of the HKU Space visited the Lam Tin Interchange site on 2 December 2017. 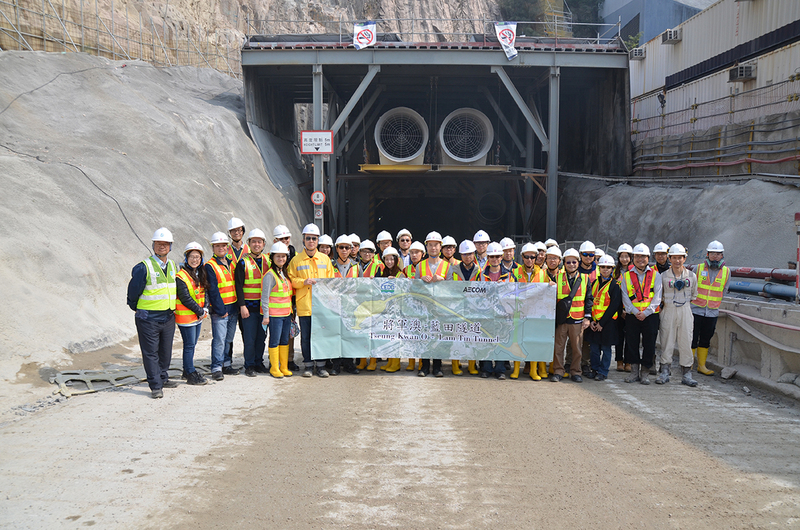 The teaching staff and students of the Parahyangan Catholic University in Indonesia visited the Lam Tin Interchange site on 30 November 2017. The contract for Road P2/D4 and associated works (Contract No. NE/2017/02) was commenced on 30 November 2017. It is anticipated that the works will be completed by 2021. 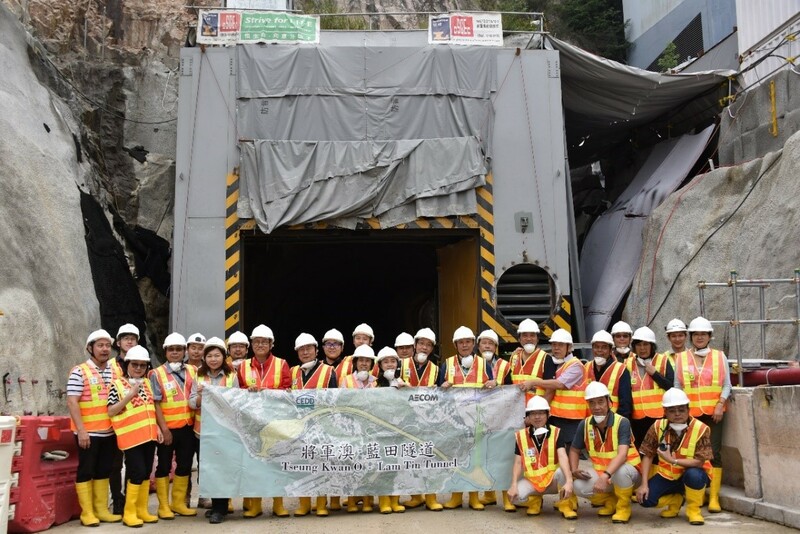 The members of the Hong Kong Institution of Engineers (Civil Division) visited the Lam Tin Interchange site on 18 November 2017. 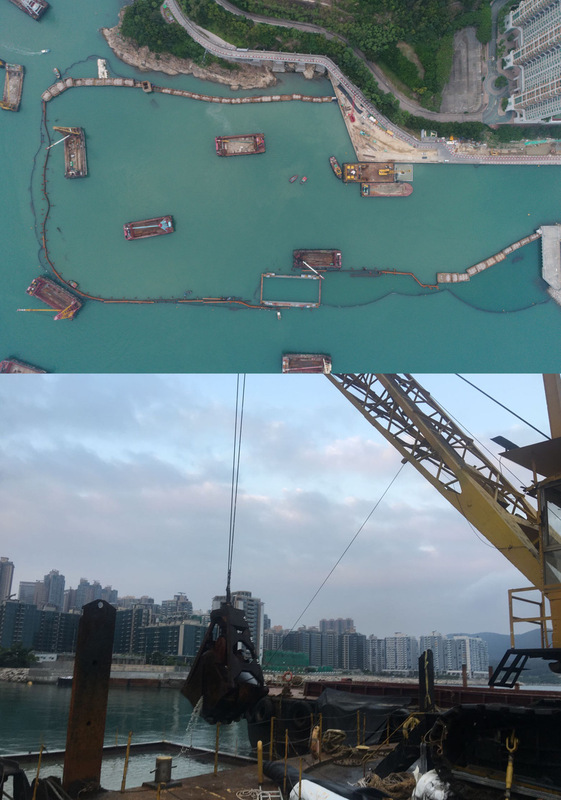 The dredging works in Road P2 was commenced in November 2017. Please see progress photos. 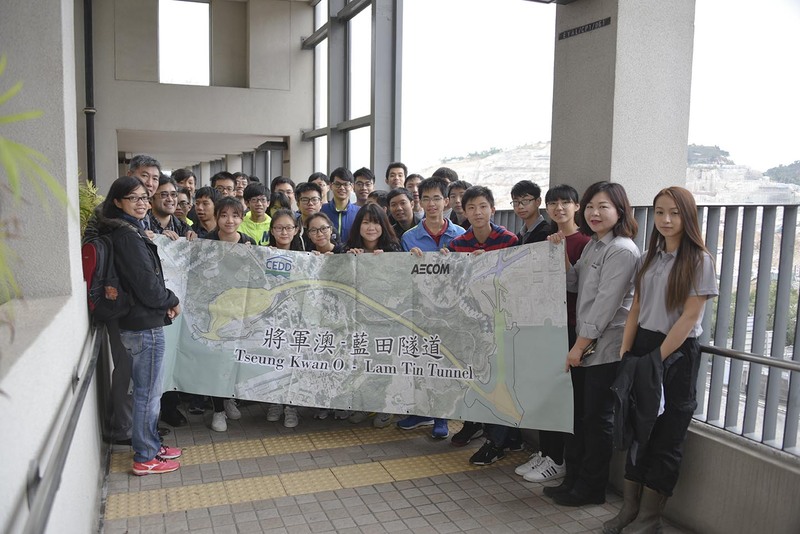 The teaching staff and students of Higher Diploma in Civil Engineering of the Hong Kong Institute of Vocational Education (Tsing Yi) visited the Lam Tin Interchange site on 4 November 2017. The 5th Community Liaison Group (CLG) meetings were held in October 2017. The members of the Community Liaison Group (Cha Kwo Ling) visited the marine works in Tseung Kwan O on 25 October 2017. 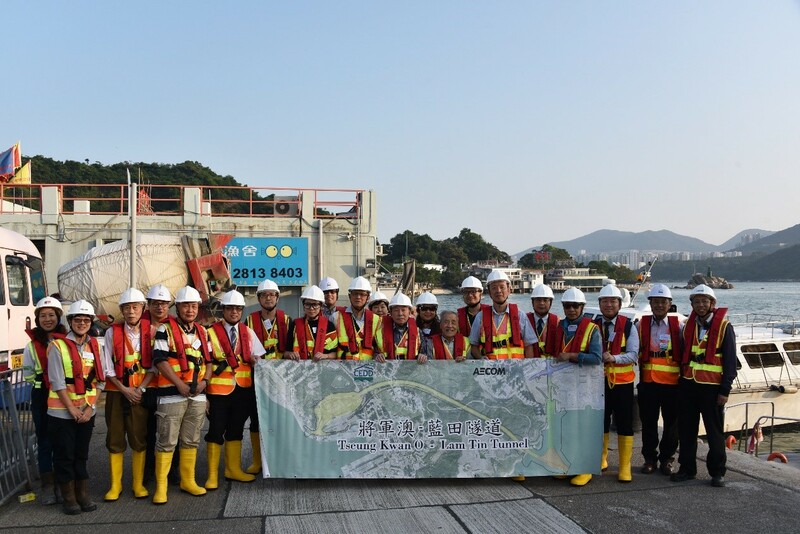 The members of the Community Liaison Group (Lam Tin & Yau Tong) visited the marine works in Tseung Kwan O on 24 October 2017. 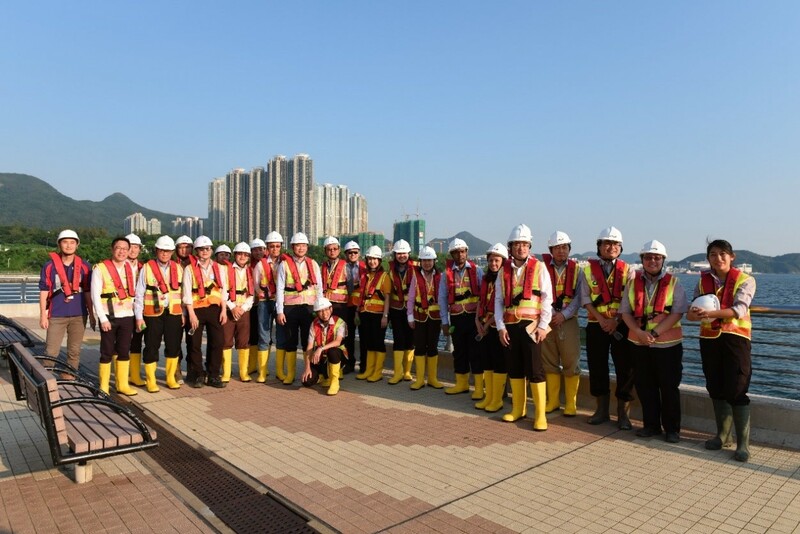 The members of the Community Liaison Group (Tseung Kwan O) visited the marine works in Tseung Kwan O on 21 October 2017. Newsletter (Construction) No. 5 has been issued. Please see our webpage on “Publications - Newsletter (Construction)”. The staff of the Building and Construction Authority (Singapore) visited the marine works in Tseung Kwan O on 27 September 2017. 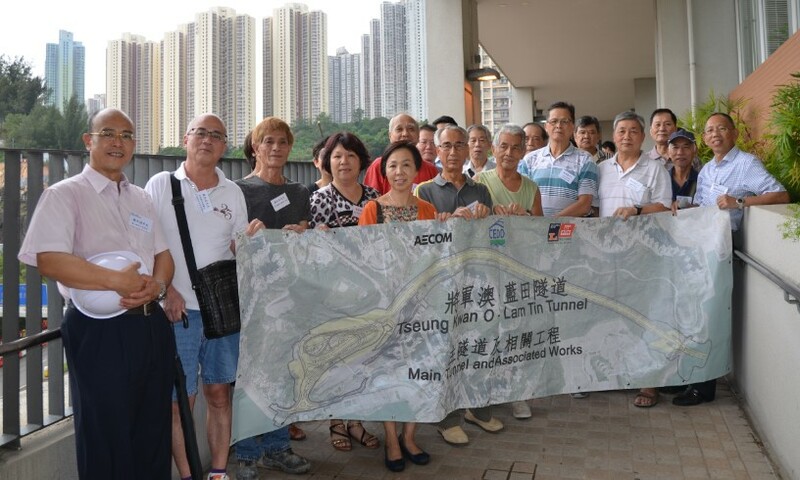 The members of the Community Liaison Group (Tseung Kwan O) visited the blasting works at Lam Tin Interchange on 17 August 2017. 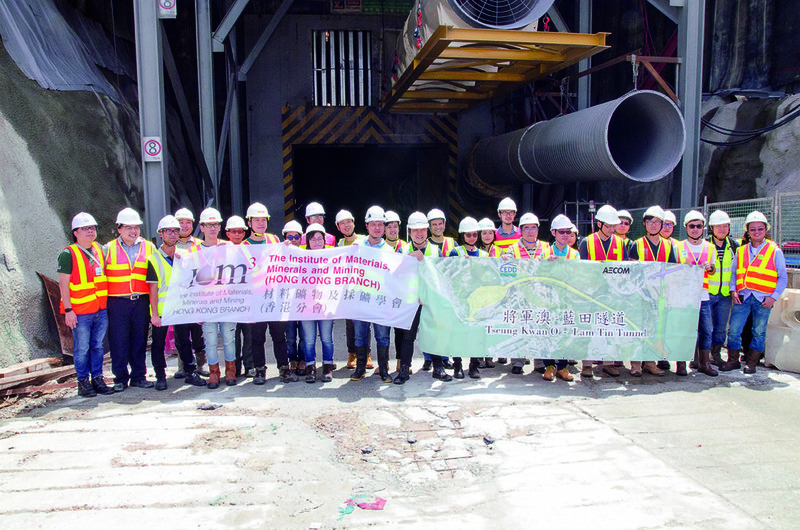 The members of the Community Liaison Group (Cha Kwo Ling) and Community Liaison Group (Lam Tin & Yau Tong) visited the blasting works at Lam Tin Interchange on 9 August 2017. 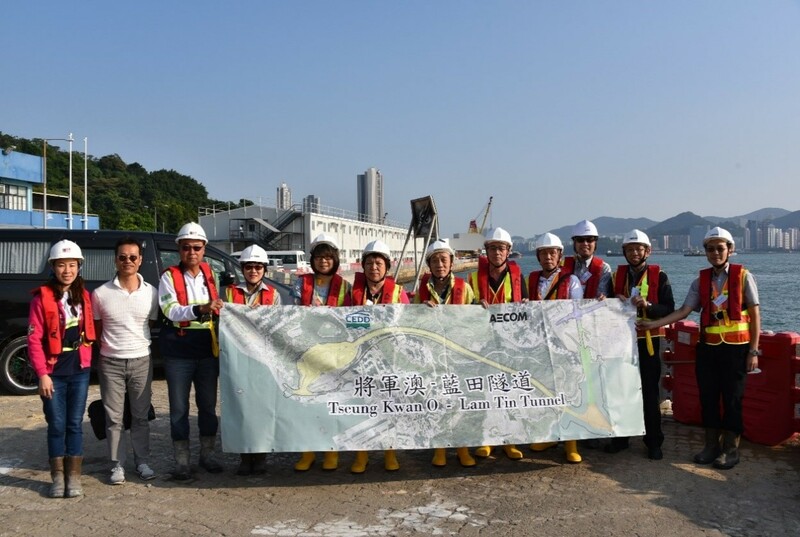 The members of the Kwun Tong and Sai Kung District Councils visited the Lam Tin Interchange site on 31 July 2017. The 4th Community Liaison Group (CLG) meetings were held in July 2017. Newsletter (Construction) No. 4 has been issued. Please see our webpage on “Publications - Newsletter (Construction)”. 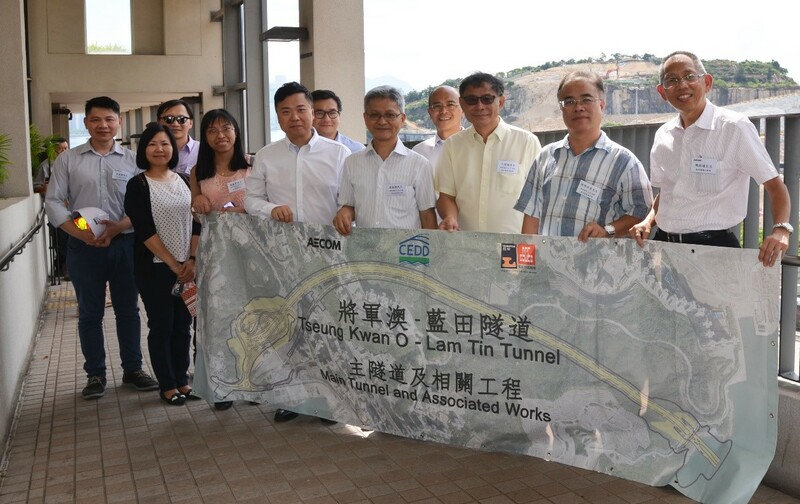 The members of the Kwun Tong and Sai Kung District Councils visited the Lam Tin Interchange site on 5 July 2017. The 2nd Marine Liaison Group (MLG) meeting was held on 12 May 2017. The 3rd Community Liaison Group (CLG) meetings were held in April 2017. Newsletter (Construction) No. 3 has been issued. Please see our webpage on “Publications - Newsletter (Construction)”. The 2nd Community Liaison Group (CLG) meetings were held in January 2017. Newsletter (Construction) No. 2 has been issued. Please see our webpage on “Publications - Newsletter (Construction)”. The contract for Northern Footbridge (Contract No. NE/2015/03) was commenced on 16 December 2016. It is anticipated that the works will be completed by 2019. 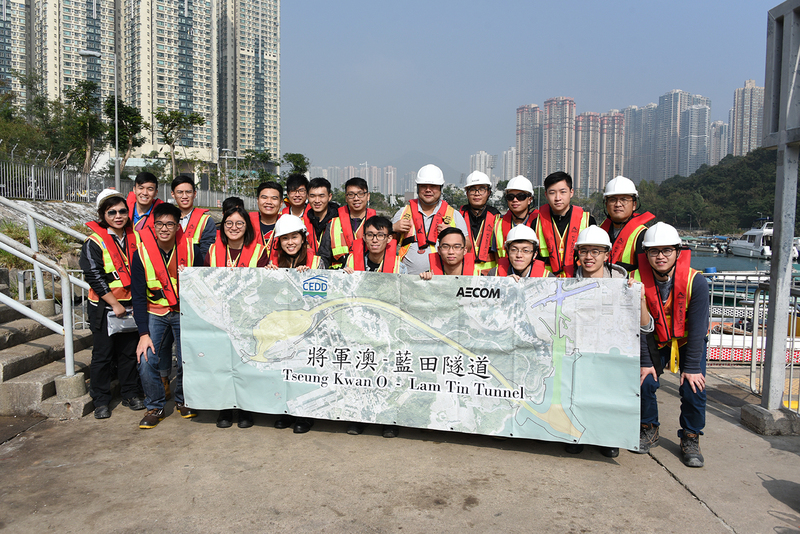 Ground Breaking Ceremony for Tseung Kwan O - Lam Tin Tunnel was held on 9 December 2016 to signify the commencement of construction works. The 1st Marine Liaison Group (MLG) meeting was held on 22 November 2016. The 1st Community Liaison Group (CLG) meetings were held in October 2016. Newsletter (Construction) No. 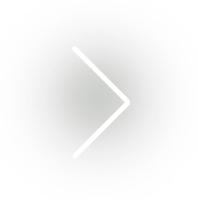 1 has been issued. Please see our webpage on “Publications - Newsletter (Construction)”. The contract for Road P2 and associated works (Contract No. NE/2015/02) was commenced on 29 July 2016. It is anticipated that the works will be completed by 2021. The contract for main tunnel and associated works (Contract No. 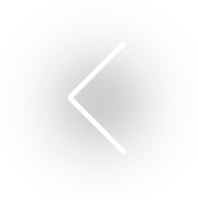 NE/2015/01) was commenced on 11 July 2016. It is anticipated that the works will be completed by 2021. Please see Information Paper. The site investigation works for detailed design stage of the Project was commenced on 22 April 2014. 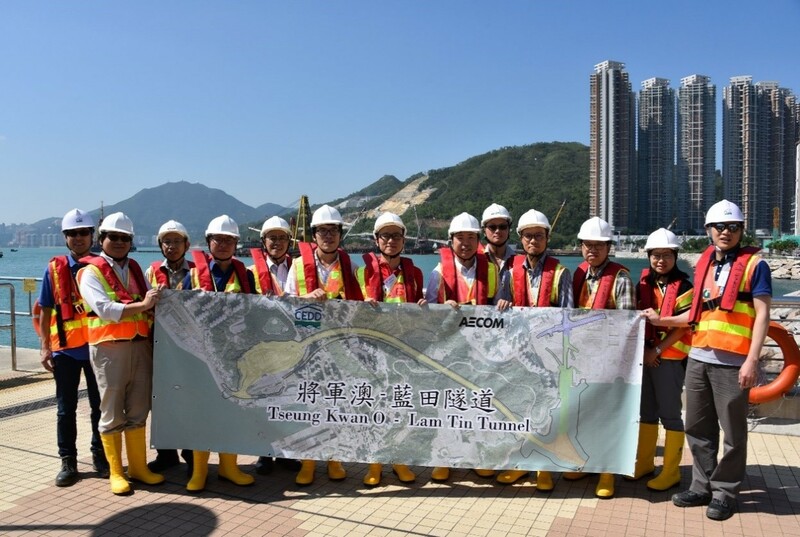 The Government published a notice in the Gazette on 30 May 2014 on the works of the Tseung Kwan O – Lam Tin Tunnel. The works have been authorised by the Chief Executive in Council.